For patients at risk of developing pressure ulcers, the proper pressure relief mattress must be used, but not all pressure relief mattresses are suitable for use with a profiling bed. 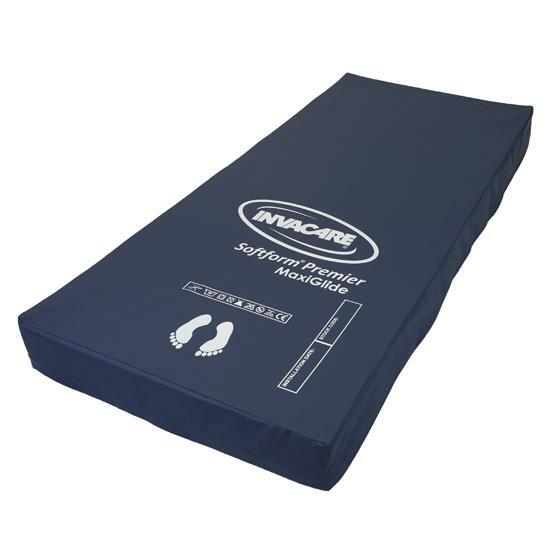 The Invacare Softform Premier MaxiGlide Pressure Relief Mattress is uniquely suited to reduce shear forces when used with a profiling bed, and is suitable for use by patients at very high risk of pressure sore development. 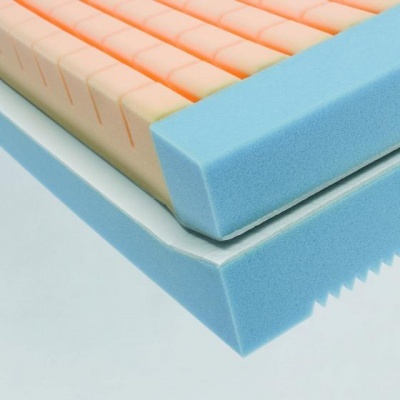 The unique design of this mattress allows the top surface to provide excellent pressure redistribution, while the bottom layer separates to conform to the bedframe. This mattress is available in four sizes. Select your desired size using the drop-down menu at the top of the page. The MaxiGlide is designed for those thought to be at high risk of pressure ulcers. The mattress can be used with an electric profiling bed due to the glide mechanism embedded in the mattress and helps to reduce shear and friction when used in this way. It improves the sitting position of the patient when upright and reduces the need for repositioning once in that position. The Maxiglide mattress is made up of two layers of foam with a smooth sliding surface between them to ensure they won't jar when moving. 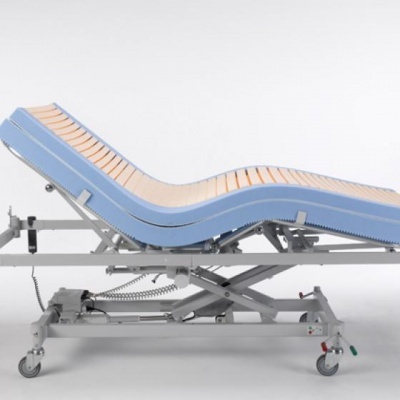 The bottom layer conforms with the bed, adapting to the frame in order to provide comfort, while the upper layer is suited for the patient, helping to redistribute pressure and prevent pressure sores. It does this by increasing the amount of contact area the user's body has with the mattress, reducing pressure in high risk areas and lowering the chance of ulcer development. This mattress is made with a deep-contoured insert pad constructed from high specification foam. The foam is cut into castellated cells, allowing it to move independently with the user's body to redistribute pressure and reduce shear forces. During profiling, many mattresses will cause the patient to shift, requiring manual handling by the carer to reposition them. This mattress maximises the benefits of a profiling bed, providing ideal positioning and thus reducing the required manual handling time. The mattress has a contoured insert pad placed in it that is constructed from keyhole cut castellated foam cells with independently moving parts. This modular construction means each part can be replaced individually in case of damage rather than replacing the whole mattress.